Fourteen million people die each year from treatable diseases like HIV/AIDS, malaria, tuberculosis, and diarrhea, while another two billion are infected. In addition to these main killers are the numerous little known diseases like sleeping sickness, river blindness, rotavirus, and trachoma, all of which shatter families, jolt economies and destabilize security and food supplies. More than one billion people lack access to clean water, and 2.6-billion lack access to sanitation. Yet the amount spent on world health is less than two percent of the global military budget. World health is a human right and the most pressing development issue facing us today. By living among, and forming intimate friendships with the diseased and disenfranchised people whose stories are documented, this project aims to give a voice, hope and dignity to the victims, and humanize the crisis by putting faces and personalities on the overwhelming statistics. 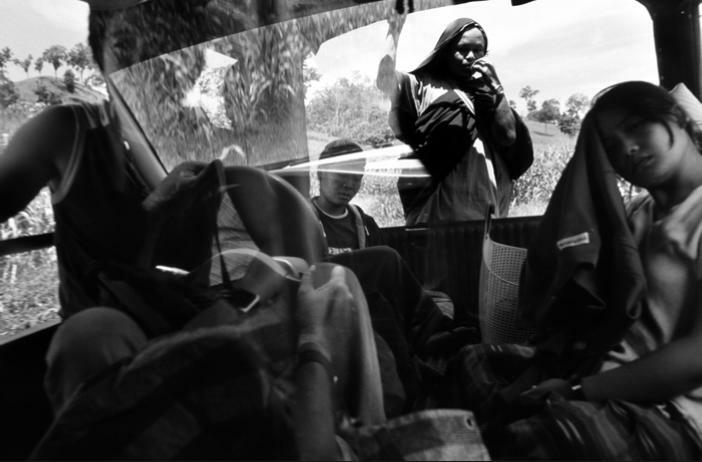 Malaria is pandemic in many places, especially in sub-Saharan Africa, but this story takes place where the fear originates: along the Thai/Burmese border, in Karen refugee camps, where the world's most resistant parasites and fatal strains of malaria thrive. No one knows why, even though the hospital and numerous malaria clinics in the Mae Sot district treat hundreds of thousands of patients every year, and researchers come from all over the world to study the problem. Malaria is the constant companion of everyone who lives here. Dr. Cynthia Maung has dedicated her clinic to the cause for over thirty years. But the war involves educating people, who change slowly, and may not even associate malaria with mosquitoes, and parasites that change too quickly for drugs to keep up. Mobile blood clinics make early falciparum diagnoses so that treatment can be rushed to the infected migrant population. 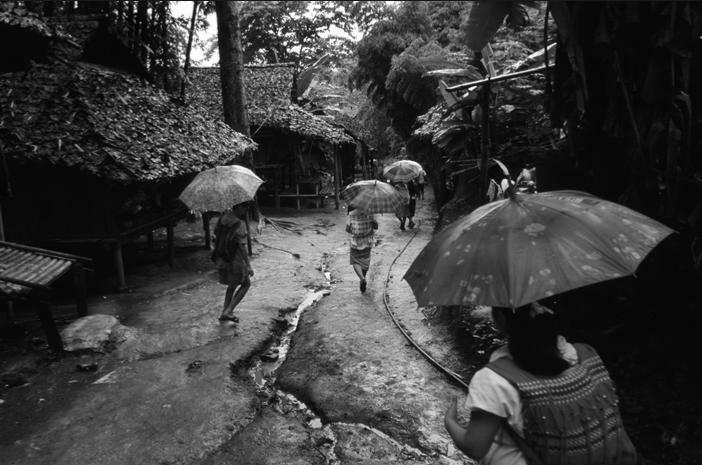 This project illustrates the cultural politics and anthropology of malaria: how people experience it; how malaria shatters families, stunts and destabilizes economies, security and food supplies; how malariologists, technologists, educators, and a vast culture of malaria survivors fight what the WHO calls the "public health enemy number one." Malaria cases, drug resistance, and mosquito persistence are worsening around the world. With the globe becoming more traveled and warmer, deforestation, expanding mosquito habitat, and indiscriminate anti-malarial use, the fear is that the world's most untreatable malaria will find its way to Africa and the temperate zones. I’d like to read you something I wrote for a magazine article 20 years ago when I first experienced the relationship between human rights and the spread of malaria, or just about any other infectious disease. “Sweat runs off the faces of the two boys, 17 and 20 years old, who crouch in the front trench with us. After each shell hits they strain their eyes to see through the dust, and over the logs piled in front of the trench to prevent grenades from rolling inside of it, and shoot blindly down the hill, where the Burmese soldiers are. After the chaos and paralyzing panic comes the eerie silence between artillery barrages and machine-gun fire. This morning five Karen soldiers were killed and nine injured.” I wrote this in 1988, after walking for days in the jungle, up and down steep hills, with a group of young Karen soldiers heading to fight the repressive Burmese military, for democracy. We slept on the ground and ate only rice and fish paste. 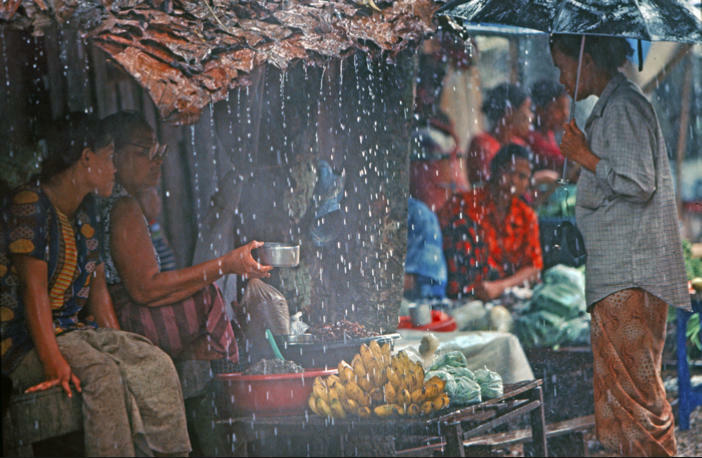 The nights were freezing and the days humid and sweltering hot. It is the best place on earth for the deadliest strains of malaria. We passed groups of people carrying small children and whatever little else they could, wrapped in little bundles on their heads. They were heading to the relative security of the border, away from their destroyed village which we walked through days later. Nothing was standing, everything was charred. Another day we met a group carrying a boy swaddled in a bloody sling hanging from two bamboo poles. 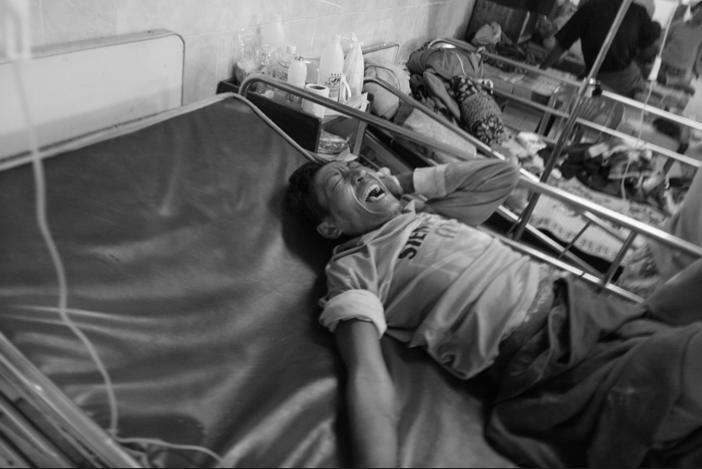 He had stepped on a landmine while running from a village shelled by the Burmese military. I saw the boy a few weeks later in a clinic near the border where a Karen doctor had successfully amputated his leg. Now he was being treated for malaria. So was I. I had contracted it from sleeping too many nights in the jungle with no net, and not enough smokey fires. It was grueling. 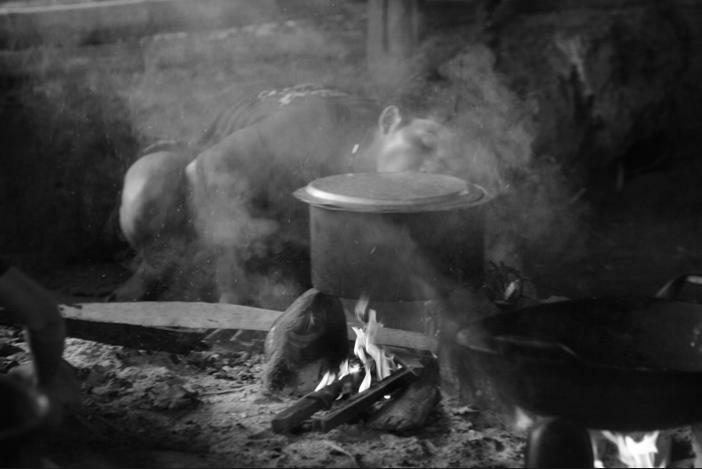 I was exhausted and sick, and I had only been on the move in the jungle for a few weeks. 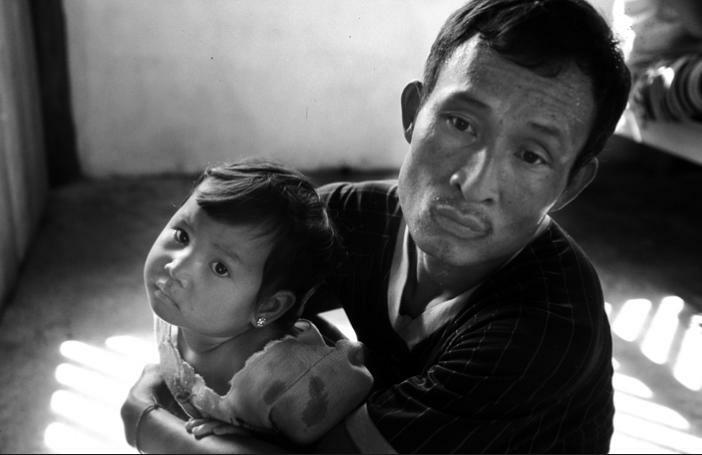 The Karen have been here either resisting the dictatorship, or running from them since 1948. The young landmine victim died of malaria. I never knew his name, but I’ve never forgotten the young doctor who treated us. Cynthia Maung was freshly out of medical school and on the run from a government in Rangoon that was imprisoning and killing democracy activists. Her mission was to give emergency medical attention to fleeing students. Not much has changed for the people of Burma in over 50 years. When freedom is denied, the vulnerable become invisible and human rights are held with little respect. 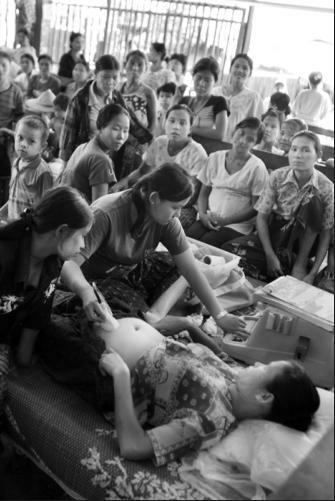 Burma spends 2 to 3% of its budget on health and 40% on its 400,000 strong armed forces. Only recently coming out of isolation, the softening dictatorship remains as artificial as it’s capital, 460 km north of Rangoon, a fortress of boulevards, new buildings, highways, and apartments, carved out of virgin jungle. And, in spite of a regime that continues it’s corrupt ways, while millions of Burmese remain among the very poorest in the world, there is indeed hope on the horizon. Burma’s doors are now open to the world and it will never be the same. For 5 baht, about 15 cents, a boat ferries Internally Displaced people back and forth to Thailand across the Moi River. At this border they come mostly for the malaria clinic. In the background is the SMRU clinic. One of the gates to MaLae refugee camps where approximately 50,000, mostly, Karen ethnic refugees have lived for the last 15 years. There are 9 other official refugee camps on the Thai side of the Burma's eastern frontier that support 150,000 refugees. These are people who are stuck with no means of livelihood, and dependent upon donors, ranging from UNHCR, to help from the Canadian International Development Agency, which supports the Mae Tao Clinic, which is the most important health provider along this border. Le Per Her IDP camp. A young man tends communal cooking fires for the student hostel that looks after the 60 students, many orphans, who are here, because there is a teacher and basic school, as opposed to no education where they came from - living in the jungle, on the run, further inside rural Burma. Recent studies show that people dislocated from their homes have three times the malaria infection rate. Le Per Her IDP (Internally Displaced People) camp about one kilometer inside Burma. Five hours drive north of Mae Sot, over at least two mountain ranges, and down a washed out road between expansive fields of the young corn. The people here had to flee their village when the Burmese attached and burned them out three years ago. A clinic funded by the estate of Austrian women is where families bring their babies to get weighed and have their blood tested for malaria parasites. Once a month babies are brought to the clinic where they are weighed and a blood sample analyzed to detect any plasmodium parasites. Out of 26 children seen by the medics, 14 had malaria. Held close by her father, this young girl was one of the few showing any symptoms of maleria. Mae Tao Clinic: The Child Health Out Patient Dept. Today it is crowded with women and children who have come for checkups, and malaria tests. Along with many other donors, the Canadian International Development Agency contributes to the operations of the Mae Tao Clinic, founded by Dr. Cynthia Maung. When I walked into Dr. Cynthia Maung’s Mae Tao Clinic on the outskirts of Mae Sot, (less than 5 kilometers to the “Friendship Bridge” over the Moi River to Burma), I was surprized by the number of patients crowded in front of all the depts, and how everything seemed to be so calm and organized. If it weren’t for a few children, out of scores, screaming in the Children’s Out Patient Department, near the entrance to the clinic, the chirping and whistling of tropical birds in the trees would have captivated me. SMRU Mawker Tai clinic on the bank of the Moi River, and the border between Burma and Thailand, about one hour drive south of Mae Sot. 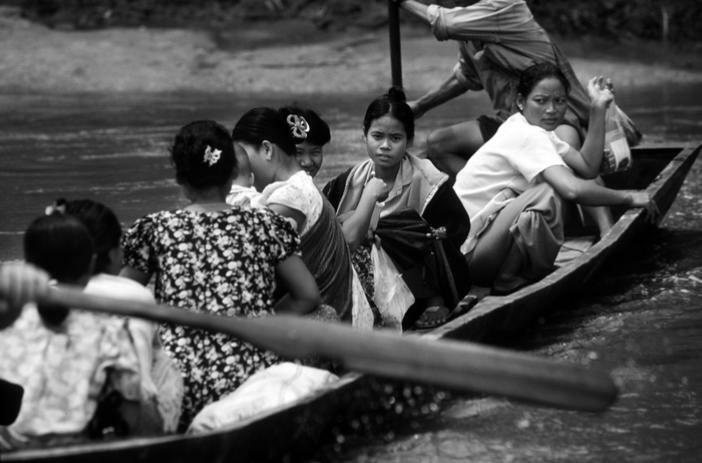 A boat brings people across the river to the clinic for 5 Baht (15 cents). There is no visible security here. This border, like the hundreds of "unofficial" border crossing is porus for those seeking medical help, or who pay and understand the local power struggles that pervade this remote and war torn territory. Today mothers and expectant mothers receive ultra sound and blood tests for "on the spot" malaria diagnosis. Some are participating in long-term studies of cardiac and other problems associated with repeated bouts of malaria. Sterilizing mosquitos is simply not practical says Prof. Francois, the Director of SMRU and an expert on malaria, especially here at the epicenter of the world’s most resistance plasmodium parasites. "One very practical solution is to detect and treat it before symptoms show." We are traveling along a rough and remote side road that crosses into Burma. The Karen army controls this area of the border. Just inside Burma is an IDP camp (Internally Displaced People), where about 100 families live with nothing after having their food stolen and crops burned, fearing from landmines, or forced into carrying supplies for the Burmese military, or worse. We came here with two medics that work at the malaria clinic in Le Per Her IDP camp. 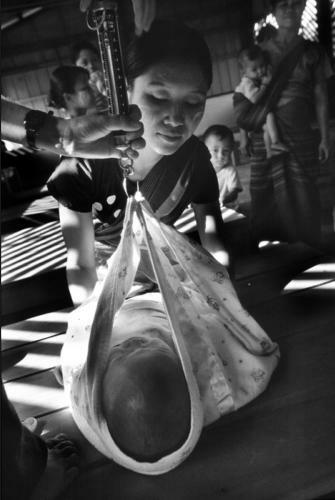 Mae Tao Clinic: A women arrives from Burma with her husband. She is nearly unconscious. She has servere faciparum malaria and a team of medics tries to find a vein for the IV. Mae Tao Clinic, Mae Sot. The woman in the foreground is from Mae La camp, one of 10 official refugee camps on the Thai side of the border. A young medic asks her some questions for me. She has had malaria many times. Now she also has tuberculosis. She has no money. Fortunately Dr. Cynthia’s clinic feeds the patients and their families twice a day. 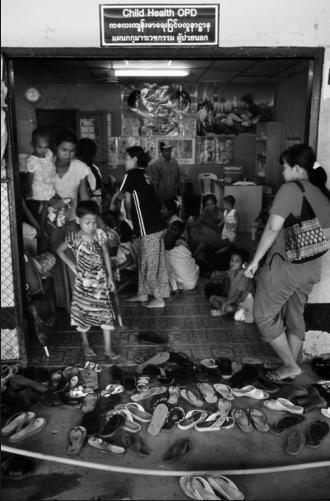 The Mae Tao clinic treats over 100, patients every year; the vast majority of them are illegal migrants. Most come from far away inside rural Burma. Mae Tao Clinic. Malaria victim battles with malaria, falling in and out of consciousness for last three days. He was one of four people admitted that day, to the Clinic. His wife and brother carried him here. They had walked four days from inside Burma. This was the closest place to get help. By the time they reached here, the father of three had falcipurum malaria so severe that he required a blood transfusion. He was unconscious for nearly three days. His wife was by his side the whole time. Mae Tao Clinic. 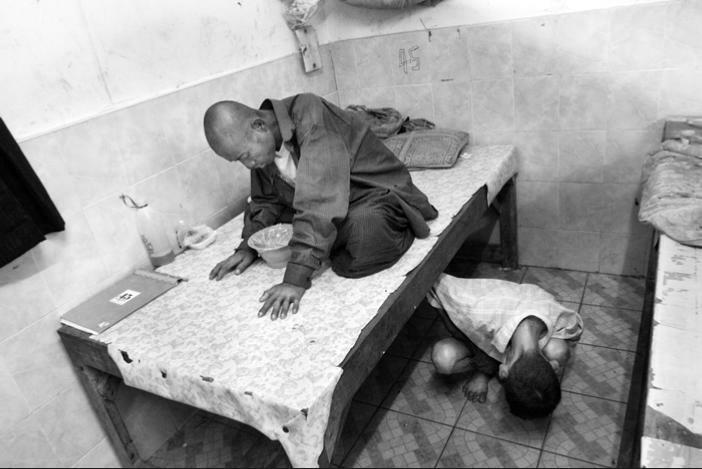 Last year the Mae Tao Clinic employed 200 workers maintained 120 inpatient beds, and treated over 100,000 patients. Over the years the clinic has trained hundreds of health care workers, often through the work of international volunteers. Young Karen soldiers in their barracks at Manerplaw, and in trenches on Pagoda Hill. It is the rainy season, and the incidence of malaria soars among difficult to count refugees, migrants, undocumented, and internally displaced: all people condemned to foreign food rations, crowded camps, slavery wages in sweatshops, and garbage. This market is situated outside the Mawker Thei malaria clinic run by SMRU (Shokalo Malaria Research) on the Moi River, which is the border between Thailand and Burma.